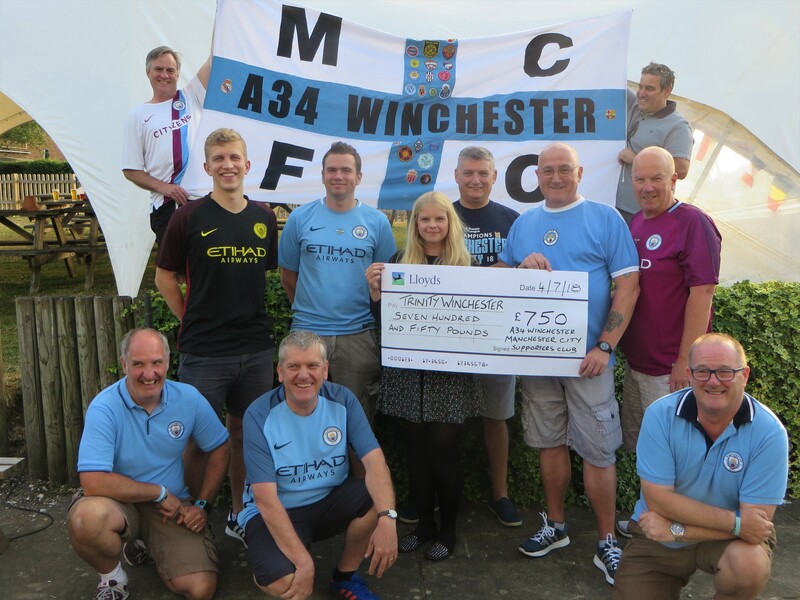 A34 Winchester Manchester City Supporters branch, an official Manchester City Supporters Club have kindly chosen to support Trinity through match day ticket sales, raising £750 in their first year! The Club felt strongly about finding a local charity to support through their match days and as such, introduced a £1 levy on all tickets ordered through the branch. Over the 2017/18 season, this raised £415, whilst the club topped the total up to £450. We also send a special thanks to the governing Manchester City Supporters Club, located at Etihad Stadium, who generously match funded the clubs donation, raising the total value to £750. Trinity would like to thank everyone involved at the A34 Winchester Manchester City Supporters branch for choosing to support us this year and for many more years to come; we’d like to take this opportunity to welcome the branch to Trinity’s long term supporters. For more information on the club, please visit their website here.